What Type of Stress Fracture Do I Have? Dr. Danciger discusses the most commonly seen lower extremity fractures. If you have a stress fracture, don't delay in scheduling your appointment today. All you Palm Desert runners out there, take note: if you continually pound the pavement on your daily run, you could end up with a stress fracture. Unlike a broken bone caused by a sudden trauma, a stress fracture is a crack or break in the bones of your feet, which gradually progress and become painful. Recovering from a stress fracture takes time, and a dedicated effort to rest. You see, if you continue to bear weight on the injured foot, it will only make the injury worse, and the recovery process longer. So, as hard as it may be, you must refrain from running to allow your bone the time it needs to heal. Crutches or a walking boot can be used to help you keep your weight off of the injury. Also, be sure to elevate your foot whenever possible. This will decrease pain and swelling. Once you have taken the time to fully recover, you can return to running again, but remember to start slowly. 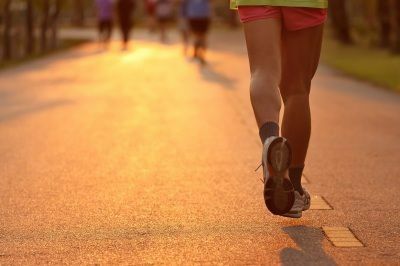 If you return too quickly or jump right back into your pre-injury mileage, you are taking the risk of obtaining an injury that is more severe and takes even longer to heal. For more information on recovering from a stress fracture, call (760) 568-0108 and talk to Dr. Harvey Danciger. You can make an appointment online, or visit us at our Palm Desert CA office. Don’t push through the pain, come in and let us help you keep your running feet strong.